PA Residents will follow the same schedule and adhere to the same call requirements as the surgical and/or anesthesia residents on the team. All residents will follow the guidelines established by the Accreditation Council for Graduate Medical Education that became effective on July 1, 2011. Physician Assistant Residents will be taught core clinical skill competencies in the Minimally Invasive Surgical Training Center (MISTC),as well as in the new Johns Hopkins Simulation Center. Learn more about rotations, supervision, responsibilities of the resident, on-call activities, program completion, paid time off (PTO),continuing medical education (CME) ,stipend and conference funding. Modeled after the surgical MD resident program, you will follow the same schedule and adhere to the same call requirements as the surgical and/or Anesthesia residents within the ICU. You will work closely with the existing ICU Physician Assistants and Nurse Practitioners. This relationship facilitates the intense mentoring and collaboration that is required for your growth and development in surgical, medical, and critical thinking skills. Rotation schedules have been organized to provide the most educational and supportive environment in which to learn. Any concerns related to the rotations should be brought immediately to the attention of the program directors or educational coordinator. 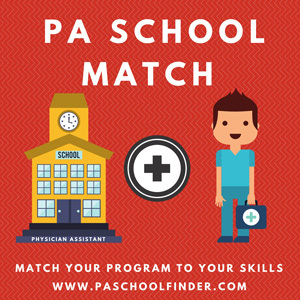 We reserve the right to change the rotation schedule at any time in order to meet the needs of the individual PA resident, the needs of the institution, and in response to quality of education and experiences within the units as the year progresses. Residents will also have an elective rotation which could include repeating of an ICU rotation or time on a surgical or specialty service. These will be personalized for each resident. During these rotations, you will be mentored by Attendings, Fellows, Surgical and Anesthesia Residents, Physician Assistants and Nurse Practitioners. For the majority of the rotations, you will be paired with a NP/PA/Resident with whom you will provide a totality of care: assess and respond to patient care needs, provide medical, surgical and ICU management, and assess both patients and families to meet their immediate and long-term needs. You will be on call at night and paired with a resident, NP, PA and/or Fellow. No PA Resident writes orders on any service until their skills are validated by the PA Residency Leadership in conjunction with the preceptors. When moving from one rotation to another, you will be expected to demonstrate your abilities before more degrees of independence are provided, especially when in the specialty units. It is the job of each resident to make these experiences the best they can be, to provide the very best care they can provide, and to learn everything you can from the mentors surrounding you each day. PA residents are required to log BOTH their duty hours and their procedures. These logs are reviewed weekly in order to ensure compliance with the 80 hour work week. Failure to comply with these logging policies will result in disciplinary action. Procedure logs must be kept and logs will be reviewed by residency faculty at 3, 6, 9, and 12 months. Evaluation of rotations: These evaluations are done and must be completed after each rotation has occurred. This information will be used to improve future rotations as well as to determine the appropriateness of the rotation for future residents. It is your responsibility to ensure that all your certifications are kept current. This includes but is not limited to Maryland License, CPR/BLS, ACLS, PANCE, CDS, and DEA. If you require any assistance with for scheduling or paperwork, it is your responsibility to let us know. TB Testing- Hospital policy requires a TB test from all employees annually. However, occasions may arise when they require it more frequently, and you will be notified by email. Failure to be tested can result in termination of employment. This list is not all inclusive. Further detailed responsibilities will be provided in PA Resident Handbook which will be distributed during orientation. The objective of on-call activities is to provide residents with continuity of patient care experiences throughout a 24 hour period. In-house call is defined as those duty hours beyond the normal work day when residents are required to be immediately available in the assigned situation. In-house call must occur no more frequently than every third night, averaged over a four week period. Continuous on-site duty, including in-house call, must not exceed 24 consecutive hours. Residents may remain on duty for up to six additional hours to participate in didactic activities, transfer care of patients, conduct outpatient clinics, and maintain continuity of medical and surgical care as defined in Specialty and Subspecialty Program Requirements. No new patients, as defined in Specialty and Subspecialty Requirements, may be accepted after 24 hours of continuous duty. At-home call (pager call) is defined as call taken from outside the assigned institution. The frequency of at-home call is not subject to the every third night limitation. However, at-home call must not be so frequent as to preclude rest and reasonable personal time for each resident. Residents taking at-home call must be provided with one day in seven completely free from all educational and clinical responsibilities, averaged over a 4 week period. When residents are called into the hospital from home, the hours spent in-house are counted towards the 80 duty hour limit. Successfully Completed: This category is consistent with an “average to above average” evaluation rating and is considered the minimal performance standard for successful progression through and completion of the Johns Hopkins Post-Graduate Critical Care Physician Assistant Residency Program. Receives a score of 3-5/5 on overall performance on 70% or more of total evaluations at six month and final evaluations. If not meeting this benchmark at six month evaluation, shows consistent improvement in scoring over last two months that indicates goal is achievable by ninth month of program. Prompt and consistent attendance to all scheduled shifts, didactic labs, and lectures. Upholds/demonstrates the Johns Hopkins CORE values. Score of 70% or higher on final Critical Care identification examination. Active participation in all simulation labs, with demonstration of average abilities by sixth month of program in preparing for and demonstrating central line placement and intubation. Successfully leads the presentation of a total of two case studies in PA lecture series throughout the academic year-at least one case to be completed before the six month evaluation period. The Program and Medical Directors will ultimately hold the responsibility for determining graduation status. In the event of a dispute, the decision will be made by the Chair of the Department of Anesthesia and Critical Care. Graduation criteria have been developed out of respect for the residents who come to the program and invest time and effort to ensure that they leave the program stronger and more proficient than when they entered. Throughout the program, faculty and residents will meet periodically (usually at three, six, and nine months into the program) to evaluate progress and needs. Frequency and content will be determined by resident rotation evaluations, informal and formal feedback from preceptors, concerns identified by the individual resident and clinical performance and laboratory/classroom testing sessions. You may also request additional meetings for reviews and/or feedback at any time throughout the program. 1. Program Faculty and the PA resident will meet to discuss performance and/or knowledge deficiencies. An individualized performance improvement plan (PIP) will be designed and agreed upon by the resident and faculty to address the deficiencies over a specified time period. 2. During this period, the PA resident will be placed in a probationary standing. 3. If a resident, despite discussions and implementation of a performance improvement plan, is unable to meet the standards of care, practice and safety established by the faculty of the program, they may be terminated from the residency. The circumstances leading to this decision are reviewed by and the decision to terminate is made with the Chair of the Department of Anesthesiology and Critical Care Medicine, and is not subject to appeal. PA residents are Hospital employees, and as such are held to the same disciplinary rules and processes as all other Hospital employees. Please refer to the JHH Employee Handbook for any and all details of these policies. Holidays: Given that you are resident status, you will not be guaranteed time off for the 13 holidays recognized by the hospital system. If there is a particular holiday you wish to request off, please inform program faculty by email of this immediately so we can make every attempt to accommodate you. Unplanned Absences – If you are not able to make it to work or will be unexpectedly late, it is your responsibility to notify the program director and the Chief resident on your service as soon as possible of the absence. The information must be relayed via direct conversation — emails are not sufficient, and text pages must be acknowledged. The program requires that you not pre-schedule at least 4 days of your PTO. These days can then be used for sick time throughout the year. Illness- The program requires that you not pre-schedule at least 4 days of your PTO. These days can then be used for sick time throughout the year. Throughout this year, you will have access to gaining > 50 Category I CME. It is your responsibility to sign-in at each and every conference you attend at Johns Hopkins. Upon successful completion of this residency, you may also list 50 Category II CME on the NCCPA website. The Johns Hopkins Hospital Department of Surgery Postgraduate Surgical Residency for Physician Assistants will be a twelve month employment contract. The stipend is $51,500.00 with twenty-two days of personal time off (PTO) to be used as vacation or sick time. Meal vouchers during call will be provided. Health and dental insurance, life insurance, short and long-term disability are available. Physician Assistant Surgical Residents will be subject to the guidelines established by the Accreditation Council for Graduate Medical Education. Maryland Controlled Dangerous Substance number, License fee, and delegation fee will all be paid for by the hospital. A minimum of fifty Category I and II credits will be available at no cost through various academic requirements during the residency. Elon PA students learn to care for the whole patient – body, mind and spirit. The primary care-focused program employs a holistic approach to healthcare with an emphasis on: medical knowledge, interpersonal communication skills, patient care, professionalism, practice-and systems-based learning.